C.W. 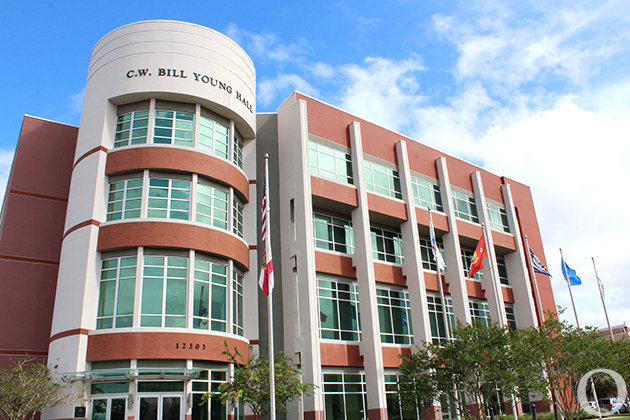 Bill Young Hall commemorates a renowned politician and houses one of the nation’s finest R.O.T.C. programs. However, as a member of the John’s Committee, Bill Young and his allies violated the rights of students and teachers, causing some to ask if such an honor is appropriate for a university such as USF. The CWY building was named to commemorate the longstanding Florida Congressman, C.W. Bill Young. Young is renowned for his support of the military, serving on the House Appropriations Subcommittee on Defense. The technologically advanced educational facility is home to USF’s Reserve Officers’ Training Corps program, widely regarded as one of the nation’s best. The building is also one of the nation’s first Joint Military Leadership Centers, housing classrooms and training facilities for the Army, Air Force, U.S. Marine Corps, and Navy. USF did not always have such a prominent ROTC program, and it was only during the early 1970s that interest spiked in housing the program on campus. When the idea of a ROTC program was first raised, many on campus were opposed. A debate between USF faculty members on May 3, 1971 discussed the compatibility of military and academia. In spite of this opposition, the program was created in 1978. USF would quickly gain national prominence, winning the award for the best ROTC program in the nation two years in a row. This accolade had never been won by the same school twice, let alone two years in a row. However, Bill Young’s involvement in the Johns Committee has caused a problem for a campus that prides itself on LGBT support. The Johns Committee was founded in the midst of the Red and Lavender Scares of the 1950s and 1960s. Led by state Senator Charley Johns, the committee was dedicated to finding potential communists, atheists, and especially homosexuals, and eliminating them from their positions in state government and education. 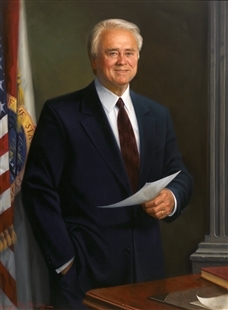 As a young state Senator, Bill Young was a member of the Johns Committee. 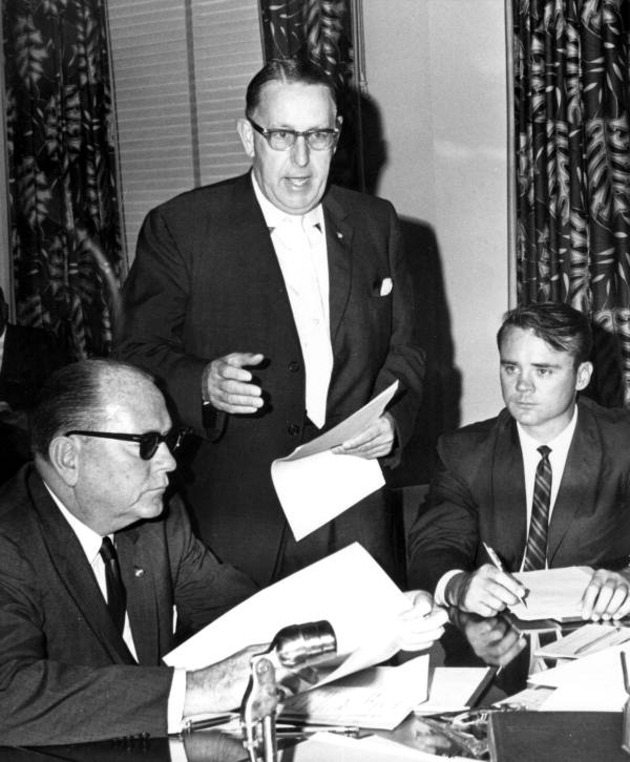 The Johns Committee targeted a number of professors and students at the University of South Florida and attempted to place restrictions on teaching and research. 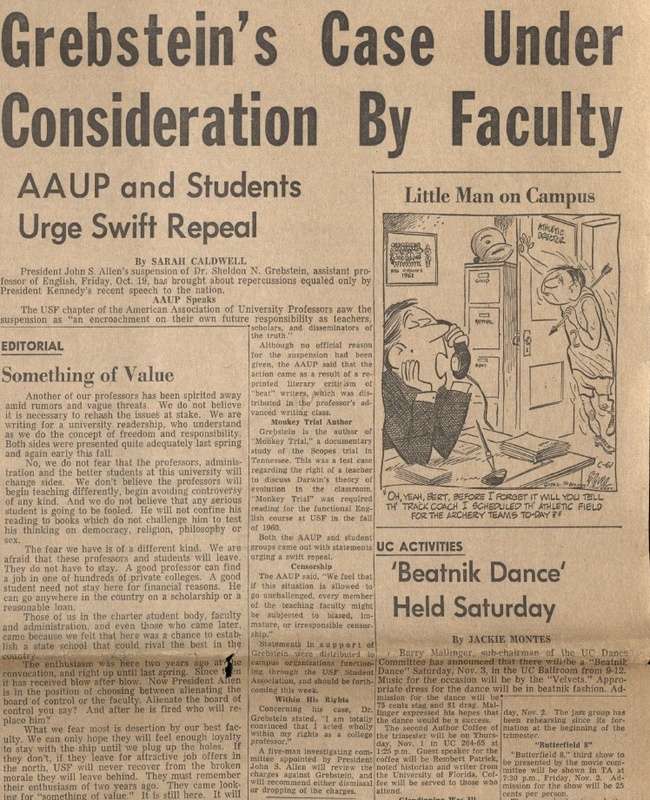 In October 1962, USF President John Allen, influenced by the John’s Committee, suspended a literature professor by the name of Sheldon Grebstein for lecturing on the works of the Beat poets. The Johns Committee’s involvement at the University of South Florida was a distressing time for students and faculty and is considered a dark mark on the history of Florida, one that many involved would prefer just be quietly forgotten. In recent years the controversy over the name of the Young Building has reached the point of protest. 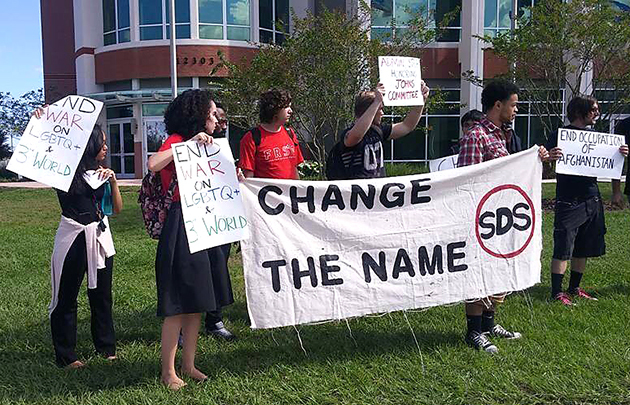 A petition organized by the USF student organization Students for a Democratic Society in 2015 to ‘Change the Name’ and remove Bill Young’s name from the hall received nearly 400 signatures, leading to a meeting between SDS and USF Provost Ralph Wilcox. At this time, USF has no intention of changing the name of the building. Members of the Johns Committee. Gregory Humphrey et al., “C.W. 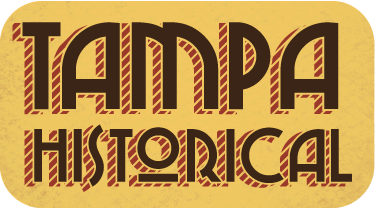 Bill Young Hall,” Tampa Historical, accessed April 20, 2019, http://tampahistorical.org/items/show/4.